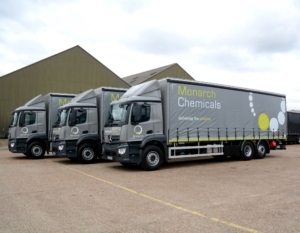 Monarch Chemicals is one of the largest independent chemical manufacturers and distributors in the UK. Monarch Chemicals was established in 1989 with the aim of filling the industry-wide gap in the area of independent chemical distribution. Since then, our growth and development have been underpinned by our desire to become a market leader, our commitment to quality and first class customer service. Commercially, our success is based on our ability to buy and sell. Operationally, our success is based on our ability to supply what our customers need, when they need it.